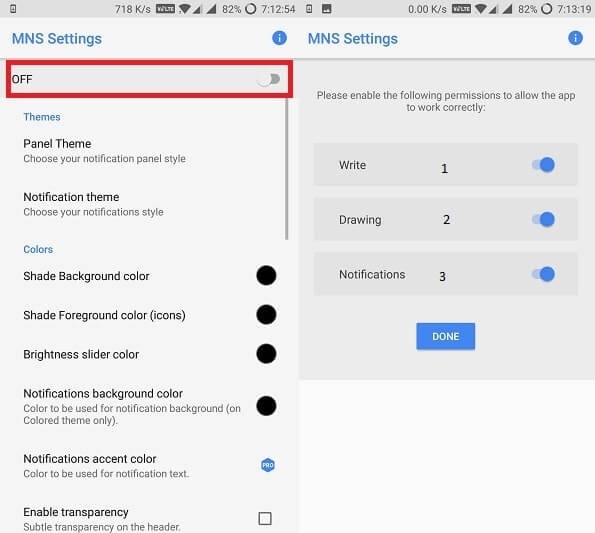 In this Tutorial I am going to show you How to Install Android P Notification Panel on any Android Phone - No Root Required. This method works on any Android Lollipop, Marshmallow, Nougat, Oreo Android phone. Fist Download this applicaiton from the below link given in the red color. Once it installed on your device, Open the application, and tap the "ON" toggle to enable the notification panel. Now, Enable all three permissions "Write," "Drawing," and"Notifications" permissions, then tap "Done" to back to the main menu. Once selected, your notification shade will have changed to the styling of Android P. You could also pick "OREO" "Nougat" here. Next, just pull down your notification shade to see the changes. Make sure your Quick Settings and notifications are working properly on your device. 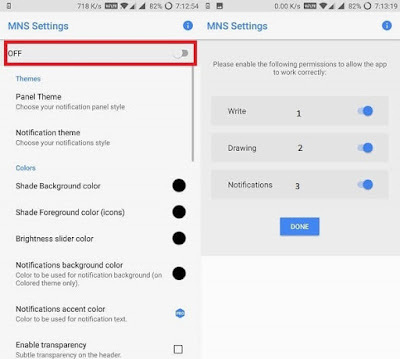 Now you can use your device with P Notification panel. This method works on all Lollipop, Marshmallow, Nougat, Oreo stock firmware and custom ROM's without root.